Be among the first to sample this year’s Common Thread: Cranberry Wit! The Common Thread beer project enlists the expertise and creativity of some of our state’s brightest and best craft brewers, joining forces each spring to devise a new and unique recipe, and then working together to brew it into reality. Common Thread 2019 makes use of Wisconsin’s bountiful agricultural resources, marrying local barley, wheat and oats with Wisconsin-grown hops and spices … and naturally, Wisconsin cranberries! We’re looking forward to a light and fruity, sweet/tart summer refresher, the perfect companion to outdoor recreation, patio season and serious relaxation! This year’s Common Thread host brewery was Vintage Brewing Company-Sauk City, with creative input and participation from nearly two dozen Wisconsin breweries. Special kudos go to Working Draft Brewing Company as well, who contributed a small batch kettle-soured portion of the Thread, for an additional quenching tartness to complement the cranberry and spice. 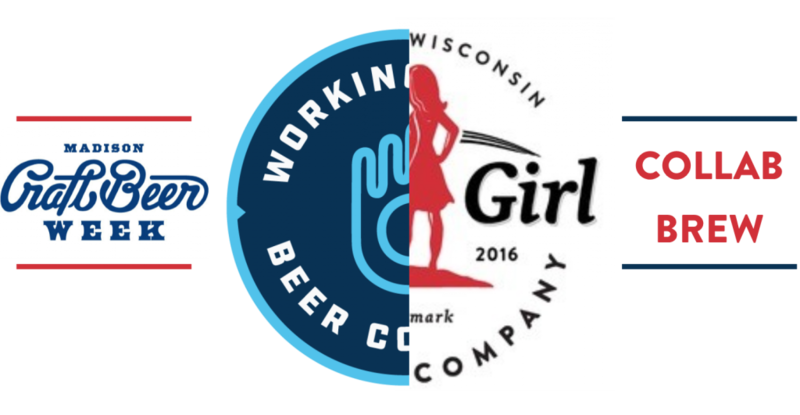 On behalf of your Wisconsin craft brewers — cheers!